Fashion Design To Thrive Workshop- FDT Workshop | A live and online workshop on how to build a profitable fashion business in 90 days. using Sales and PR strategies that get results. Alexandria started her passion for fashion at age ten, when she persuaded her mother to let her be and assistant at her Fashion Design Studio everyday after school. At that young age she learned a lot about design and running a fashion business. At the age of thirteen her family moved from Nigeria to Atlanta, Georgia and she started her modeling career. She modeled for major companies throughout the South. As her modeling career advanced she fell in love with the beauty and glamour of the industry, she fell in love with the well crafted luxurious Items specifically handbags that she got to wear as a model. But soon she realized that most women including her could not afford the luxurious accessories and clothing that she modeled in magazines and on the runway. After earning her Masters Degree in Business Administration in 2008, she decided to put her educational background with her years of experience in the fashion industry and create a luxurious brand for the busy woman on the go. With the support her husband Alfred Alli, F&W Style was born. F&W Style handbags are in over 40 boutiques including select Ritz Carlton Gift shops nationwide, and featured in several publications including Modern Luxury, Black Enterprise, Jezebel Magazine, Atlanta Magazine, CBS, Atlanta Plugged-In and more. Felicia Ruiz, with her extensive knowledge of the wholesale industry, became a partner with Rosa Thurnher and Regina Weir in May 2015. 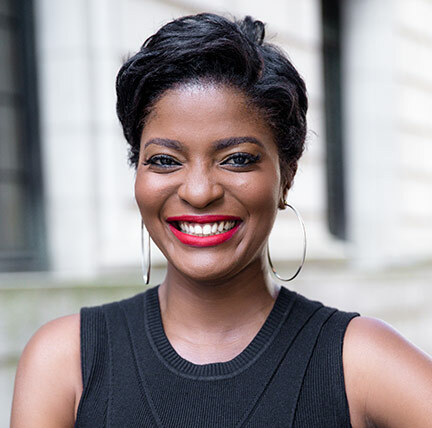 Upon graduating from Georgia Southern University with a BS in Fashion Merchandising & Apparel Design, Felicia began her career in a Multi-Line Wholesale Showroom in NYC’s Fashion District. After moving to Atlanta in 2006 she worked as the National Merchandise Manager for Mellow Mushroom’s corporate office managing their Merchandise program for 100+ locations nationwide. 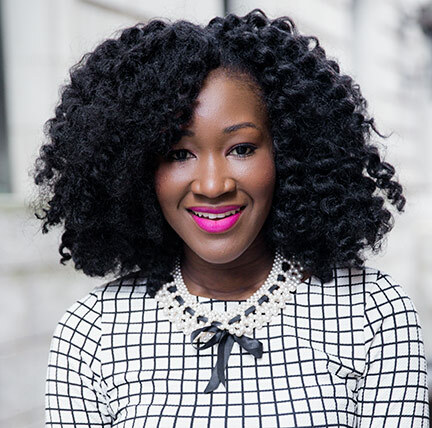 Continuing her career in wholesale apparel, Felicia began working as an Independent Consultant in 2011 working with new designers, and start up fashion companies from Atlanta to Savannah, and St. Louis. A former team mate of Factory Girls, she specializes in bringing brands from conception to retail and e-Commerce. 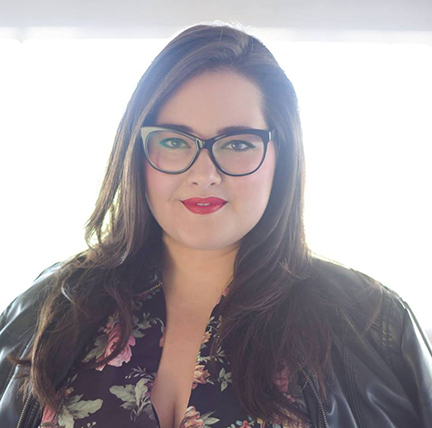 Michelle Khouri is a publicist-turned-multidisciplinary writer and editor. She is the full-time editor of Where Atlanta and Where Nashville, where she produces a monthly magazine about Atlanta and annual Guestbooks about Nashville and Atlanta. Michelle is also a freelance writer who covers travel, arts and culture, and people and society. A longtime writer, Michelle possesses a keen eye, inquisitive spirit and well-developed vocabulary, while her experience in business and marketing helped her to develop a mind for strategy and organizational efficiency. Visit www.Globocurious.com to learn more about Michelle and the many ways she helps marketers, editors and entrepreneurs tell their stories. Born and raised in Sweden, Edwina Kulego works in International Business Development at UBM Fashion Group. She began her career working for Zara / Inditex Group, as a Sales Manager in Copenhagen, Denmark. She moved to New York in 2007 where she interned at various companies such as Essence Magazine, Tommy Hilfiger and PROJECT Trade show. 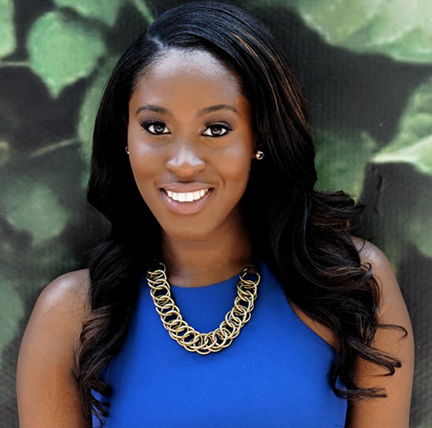 After graduating from Berkeley College with a Bachelors Degree in International Business she landed a job as the Executive Assistant to the President PROJECT. After that, she became the Business Coordinator to the CEO and eventually went on to manage International Business Development at PROJECT. This role includes helping international fashion brands create pathways into the US market. Edwina is fluent in Swedish, English, Ga, Ashanti and proficient in Danish. Our early breakfast will begin at 9:00am- 9:30am to prepare you for an energized informative and fun filled day ahead. SESSION I: You have created a collection that you are proud of but now what? You need guidance on how to sell your product and get it out to market. This session teaches you how to get unstuck and start selling! In this lunch break, we get to learn from some of our special guests serving on our panel. This lunch and learn explores the experiences of fashion professional that have incredibly valuable information to share with you. SESSION II: You've done the building, your product is ready for market and now you want the whole world to know. Learn key strategies to get you media exposure, maximize partnership opportunities and build a profitable fashion brand that is tied to who you are. Master 3 ways your personal brand can help you increase your influence to build profits. In this final session, you will have the opportunity to hear directly from our panelist on how profit building and exposure in the fashion industry works. From editor's to show directors you will hear first hand secrets of the industry that will help you propel your brand. "Thanks for your professionalism, we love your beautiful collection"
“Besides being a joy to work with, Yetunde and the staff at ICY PR have been nothing but professional, detail oriented and highly effective in drawing national media exposure and attendance to our events. Thank you"
Yvonne McCormack-Lyons, President/Founder Women’s International Film & Arts Festival, Inc.
You will learn so much! Everything from how to create a line sheet, how to sell your brand to stores/boutiques, sample letters for editors, how to find your target market, how to develop a purposeful campaign, social media tools etc, all from experts in the industry including the lead coaches for the Workshop, Luxury handbag designer Alexandria Alli, International Publicist, Yetunde Shorters. We will also have an incredible panelists joining us including Felicia Ruiz, Brand strategist at Assembly Line Atlanta, Edwina Kulego, International Business developer at UBM Fashion Group, and Michelle Khouri, Editor of Where Magazine Atlanta. This Fashion Design To Thrive Workshop (FDT WORKSHOP) only has limited seats available. Reserve your spot today. Click here. The Fashion Design To Thrive Workshop (FDT WORKSHOP) is for fashion entrepreneurs and students who are serious about to turning their fashion hard work, skills and experience into a profitable business. Securing Stellar Publicity for your fashion line is a PLUS you get from this workshop. ALL VIP seats get access to over 25 top industry editors with an exact swipe file of how to pitch your brand to get a feature. What if my product is not necessarily a fashion product? This workshop is still for you! If you have a product that can be sold at stores/boutiques, trade shows, and trunk show then this workshop is for you. We welcome designers/brand owners in the home, swim, baby, fashion accessories, gift, jewelry industry etc. What if I don’t have the funds? As business owners ourselves, we understand that funds are usually tight for small business owners. In this workshop we give you the tips you will need to avoid time and money consuming pitfalls and teach you the tools to get unstuck and start making profit. For the price of dinner for 2 at a nice restaurant you get incredible access to information that can make profits. This workshop is worth the investment if you're serious about your business. Hurry Up! Only seats left. Our workshop teaches you how to start generating income and securing publicity for your fashion brand!